Your home’s pipes need water pressure to operate properly, and the whole system starts with your hookup to the municipal supply. 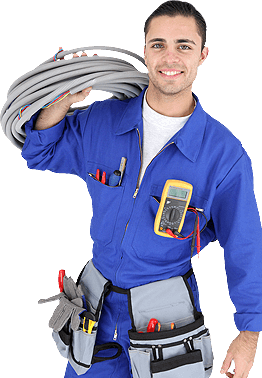 When something compromises that flow, you need to call a professional who has experience with water line repair. At Keefe Plumbing Company, we’ve been providing Chattanooga residential, industrial and commercial customers with installation and other services for more than 60 years, and we have what it takes to get you up to speed. Whenever water and other items flow down a drain or toilet, they end up in the wastewater system that flows to treatment facilities. If there’s any kind of clogged or burst pipe along the way, you could end up with backed-up sewage, which is why it’s important to call a company that specializes in sewer cleaning to remedy the situation. You can’t stick your head into the pipes to see if there’s a problem, but there are symptoms that indicate issues, such as tree roots in sewer line areas. Bad odors, toilets that are backing up and drain problems are all indicators that you should call a plumber to clean out the blockage with a rooter, auger or other clearing tools. Depending on your home’s age, the contractor might have opted for installation of polybutylene pipes to save money. While that was great for the construction budget, these components are susceptible to corrosion and leaking and ought to be replaced with copper plumbing by a repiping professional. Whether you need sewer line repair, a repipe estimate or simply help to unclog a pipe, call Keefe Plumbing Company for all of your needs. With service throughout Chattanooga, Dalton, Cleveland, Athens, Tennessee, Signal Mountain, Lookout Mountain, Dayton and Fort Oglethorpe, Georgia, we can come to fix any problem. For information on water line replacement, leak detection or any other services, call us today at 423-622-3178 today!